Each year 8th September marks UNESCO’s International Literacy day, which aims to raise awareness globally on the issues surrounding adult and child literacy. Literacy is not usually something you would immediately think of when it comes to cleaning, however, it is an important issue to be aware of in the business. To those on the outside, why should this pose a problem? After all it’s just cleaning, and anyone can pick up a mop and do it. This is a serious misconception that the industry needs to continue tackling, however the truth is, that cleaning can be a hazardous occupation. Cleaning operatives, if following best practice, can be vital in preventing the spread of infection. Product guides and instructions should therefore, be delivered in a form that is easy to understand so that cleaning operatives can perform their duties safely, without risking their own, or others’ health. 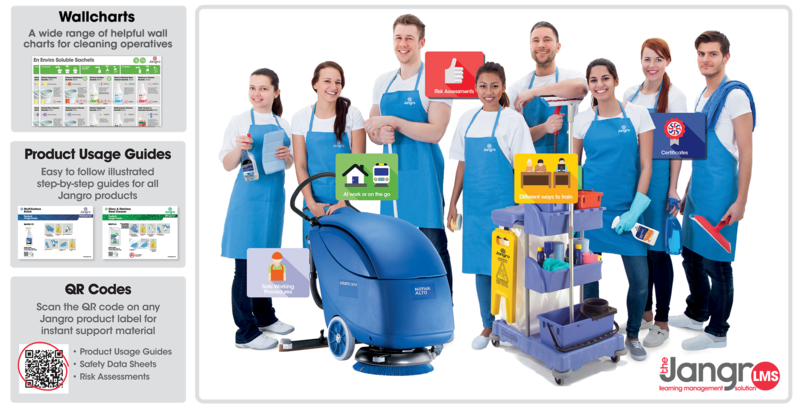 A colour coding system is a standard across the cleaning industry these days, but remains an excellent way of communicating with cleaning operatives. Colour is a universal ‘language’, recognised by almost everyone, regardless of their native tongue, or their ability to read. By integrating a colour coding system, you can remove the degree of uncertainty, and ensure consistent cleaning from your workforce. Placing a poster or chart on the wall can also be beneficial to ensure consistency. 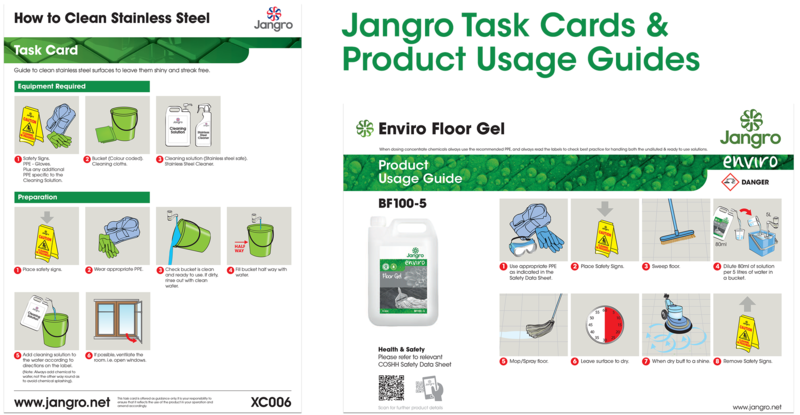 Jangro also offers helpful resources in the form of product guides and Task Cards. 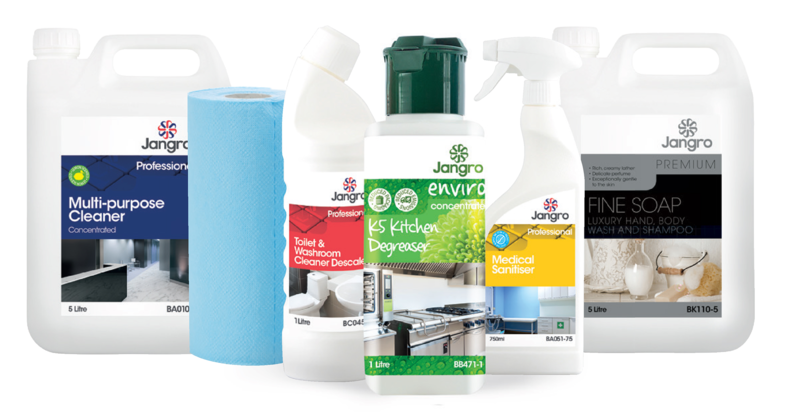 Unique to Jangro, these helpful resources are handheld, so can be accessed ‘on the go’ and are highly visual. The step-by-step process animated imagery addresses any potential reading or language barriers, communicating clear instructions to the operative, even if they cannot understand the simplified text. We also have a similar approach to our product labelling, ensuring that each label reflects the actual product inside. Essentially, the labels are designed to so that they look like “they do what they should do”, preventing operatives from mistakenly picking up the wrong product for a specific task.